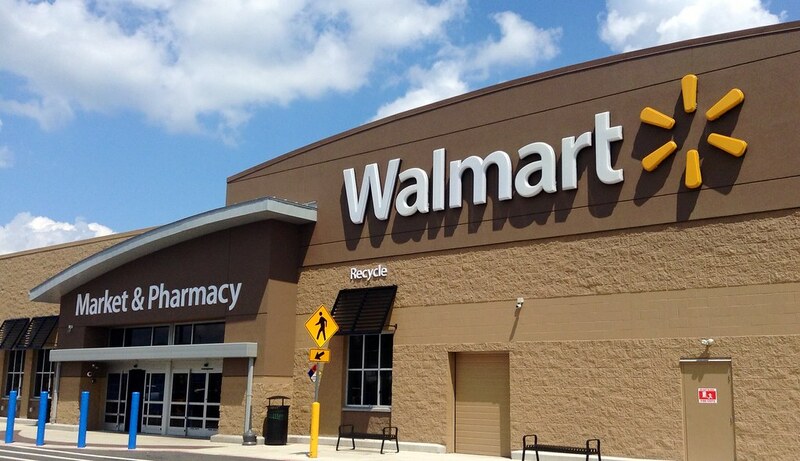 Walmart is testing another automated grocery kiosk, this time at a supercenter in Sherman, Texas. According to Business Insider, the kiosk serves as a vending machine for online grocery orders, allowing customers to pick up their orders without having to interact with employees. Customers purchase and pay for their groceries online, then Walmart employees shop and pack those orders, and store them in the 11-by-127-foot kiosk attached to the store. When customers arrive, they scan their barcode and retrieve their groceries within one minute. There is no cost to pick up the groceries, but customers must spend at least $30 per order to use the service. This is the second automated kiosk for Walmart following a test that began last summer at a store in Oklahoma. The new kiosk services five customers at a time, while the first one serves just two. As if click-and-collect, delivery and scan-and-go services weren’t enough to keep up with in the grocery space, Walmart has expanded its automated kiosk test, where customers simply pick up their orders without having to interact with an employee. Walmart must have liked what it was seeing from its initial test started last year in Oklahoma, as the Sherman kiosk is bigger – able to serve five customers at once — versus two from the original kiosk. Still, this service has a lot of promise for convenience-seeking consumers who want a quick in-and-out grocery trip, and it is another example of the company’s drive to seamlessly integrate its online and offline presence to challenge Amazon in the grocery space. This service comes in addition to all of the other Walmart initiatives, including curbside pickup, Pickup Towers and its ever-expanding delivery services, illustrating that the company is doing all it can to meet consumers where they want to be (and when they want to be there). This aggressive strategy seems to be paying off so far: A recent report by Packaged Facts found that Walmart’s pickup strategy has surpassed competition, largely driven by its combination of curbside pickup and towers. Among click-and-collect consumers, about 42% identified Walmart as the pickup location for their last order — three times the amount that cited Target, which came in second. Walmart is also currently testing order-filling robots in New Hampshire. The system collects products, then delivers them to employees, who assemble orders and give them to customers picking up at the store. Should these tests prove successful, the Alphabot could eventually complement the automated kiosk and help Walmart achieve even more fulfillment efficiencies. For now, the kiosk test is limited to a tiny fraction of Walmart’s system. However, if consumers respond favorably and Walmart realizes added efficiencies, the company certainly has the muscle to scale pretty quickly.